With summer weather just beginning, people and their dogs will be heading for their neighborhood dog parks, which is normally an enjoyable, fun-filled outing. But Nationwide Insurance, which insures pets, says it also results in a surprising number of injuries and medical claims. Maybe it's not so surprising. Dogs are lovable creatures but don't always get along that well with others in their species. Strange dogs mixing it up in a dog park can turn ugly fast. Nationwide said it reviewed 2016's medical claims and found that soft tissue injuries was the most common injury incurred at a dog park to its insured canines. Hypothermia or heat stroke was the most expensive injury, averaging $704 a claim. 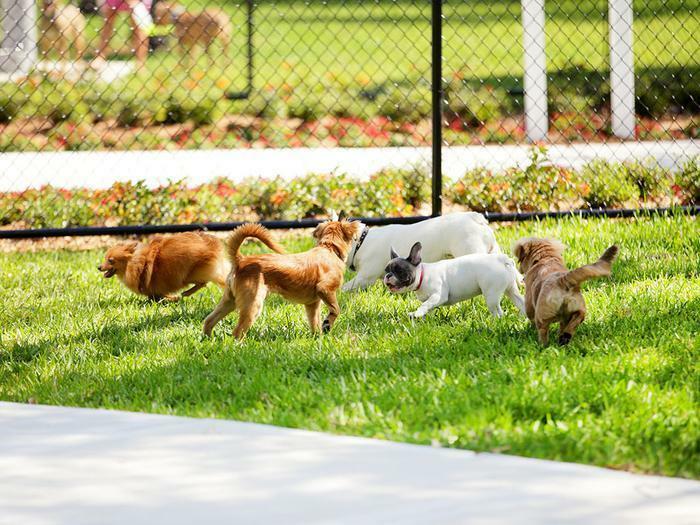 "The dog park can be a great place for friendly dogs to socialize and exercise, but there are safety measures dog owners need to be aware of," said Carol McConnell, vice president and chief veterinary medical officer for Nationwide. This may sound elementary, but following the posted rules can help keep pets out of trouble. Usually, when there is a sign saying not to do something, it's because it was done in the past with a bad result. So the first step is to stay within the rules. Nationwide also suggests visiting the dog park by yourself before showing up with your pet. You should check out the other dogs -- and their owners -- to see if they will be a good fit for you and your dog. Once you and your dog are at the dog park, participate in your pet's play activity. That way you can better monitor your dog's interaction with other pets. In nearly every case, a puppy under four months old is too young for a dog park. Always take water and a bowl to keep your dog hydrated. Just like people, dogs build up a lot of heat during vigorous exercise. During the summer, it's best to avoid going to the park during the hottest times of the day. Signs of overheating include rapid panting, a bright red tongue, thick drooling saliva and glassy eyes. "Many of the medical conditions on our dog park-related injury list can be avoided by taking necessary precautions, but some are out of the owner's control," McConnell said. If any of these issues occur, dog owners should head to their veterinarian or emergency animal hospital for treatment." In 2016, Nationwide policyholders spent $10.5 million to treat their pet's dog park-related mishaps.